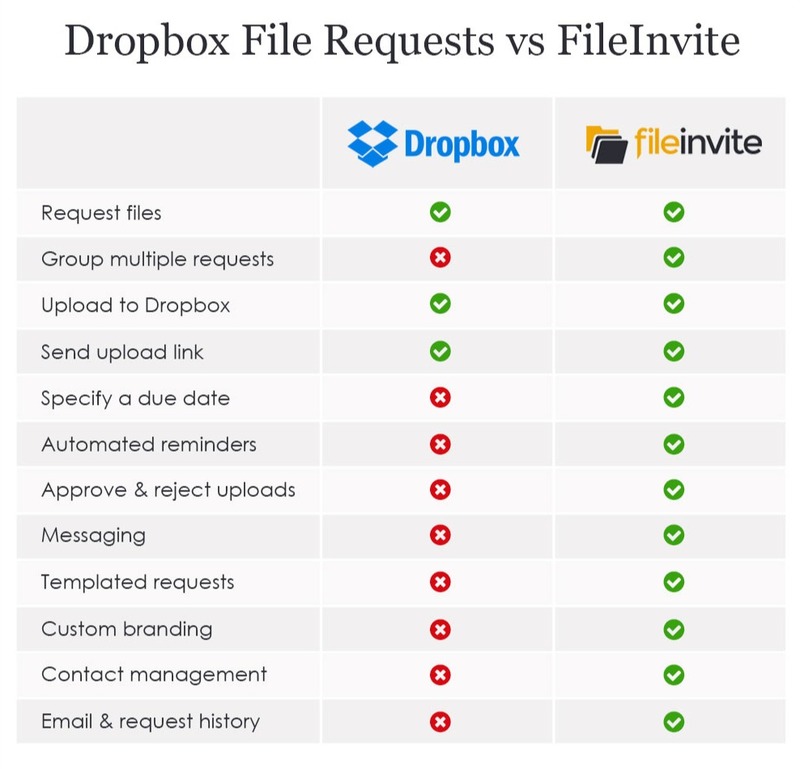 When it comes to comparing functionality, FileInvite is a clear winner! We have covered all the bases when it comes to document collection and management. This is clearly demonstrated in the comparison table below. 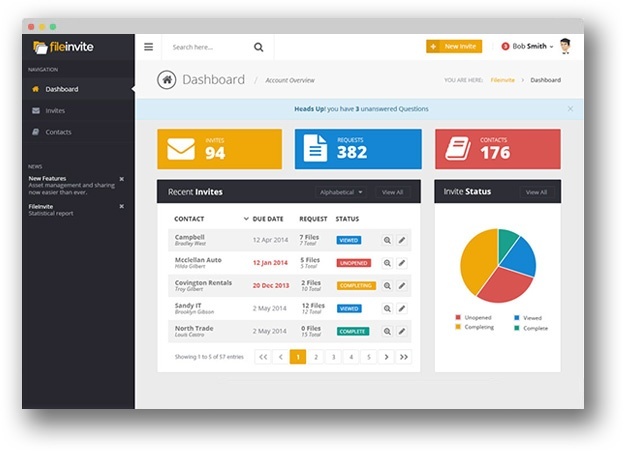 With FileInvite your customer will get the ultimate experience. 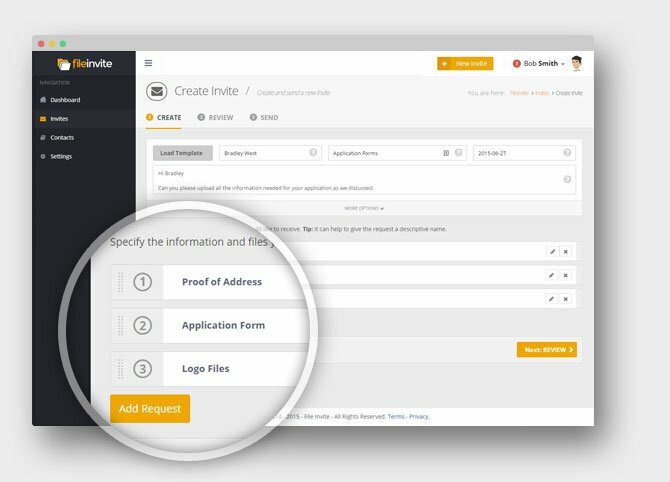 From the initial contact, right through to the collection of all the requested files, FileInvite is a step up in professionalism and workflow. This will help to impress your customers and get repeat business! 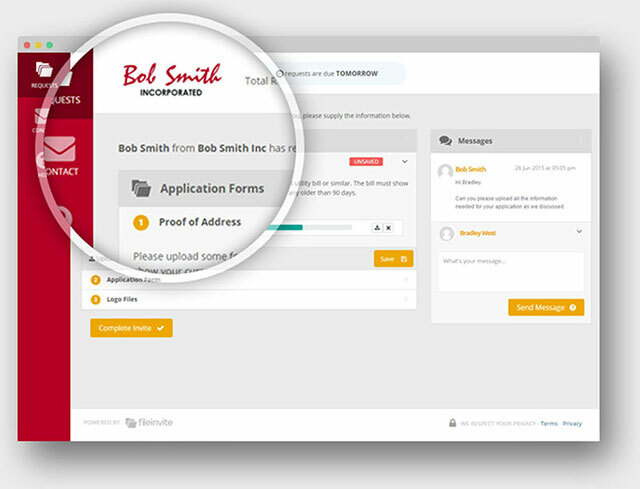 Through the FileInvite app you can add your own branding and colours, send reminders emails and communicate with your customer at any stage. FileInvite has been created for the sole purpose of automating the collection of documents and files. Because we specialize in this key area, we know our product offers more in the way of usability, management and results. Therefore we’re committed to making sure you have the best experience you possibly can when using FileInvite. This mean less clutter and features you want to use on a daily basis. When creating a FileInvite you can send as many requests as you want. Customers love this because they know exactly what they need to provide in one easy location. To make your life easier, you can create templates with a list of your most used requests. Now an invite with multiple request can be sent in a matter of minutes. Nothing worse than going to all this work to collect information from your customers and then end up with the wrong files. 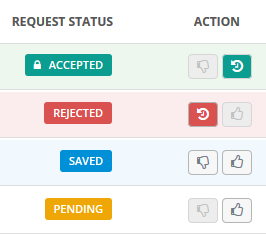 We know the pain of this so we implemented a request approval system. With this system you can approve and reject submitted files in a jiffy! Customers not sending through the files on time? This is common problem across all industries and can be very frustrating. To solve this issue, when creating a FileInvite you can specify a due date. 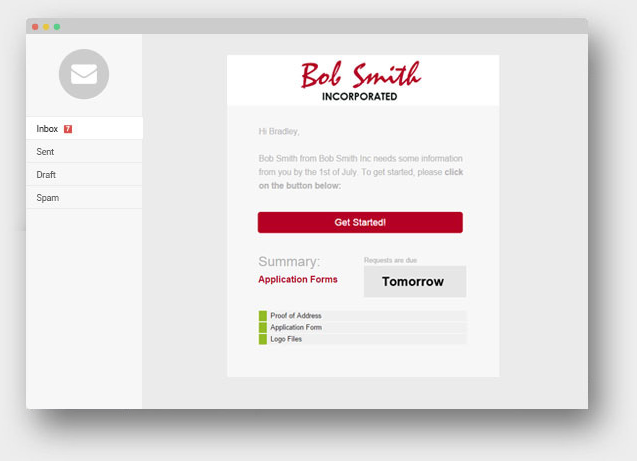 You can also send optional automated reminders to make sure your customer is staying on track. All this happens in the background without you picking up the phone or sending an email.